Dalmec gripping system especially designed. 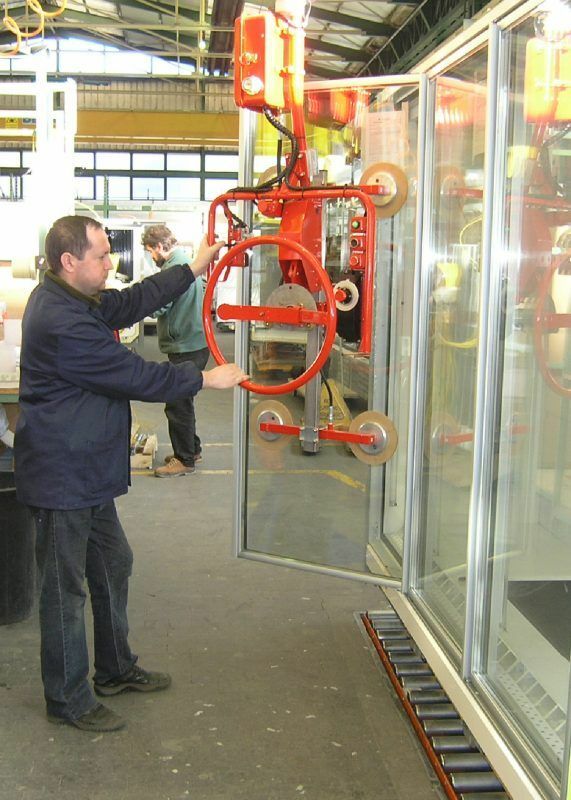 Partner Equo manipulator, column mounted, fitted with suction cups for gripping and 360° manual rotation of glass doors. Thanks to the interchangeability of the gripping head, the system is able to handle various types of glasses having different shape and weight. 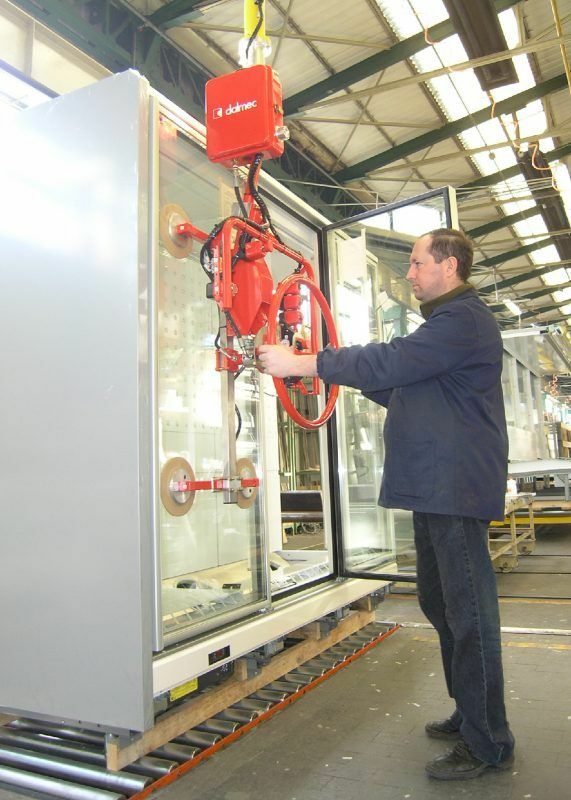 Partner manipulator, column mounted, fitted with suction cups for gripping and 360° manual rotation of glass doors for refrigerators. 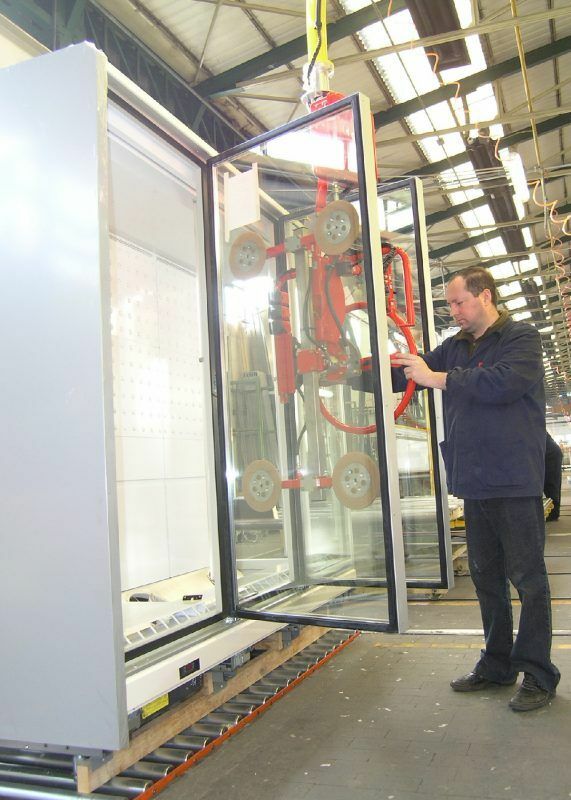 Dalmec gripping systems are custom-built, with specially adapted design, dimensions and picking systems to suit the specific requirements of the users and the various environmental conditions available.